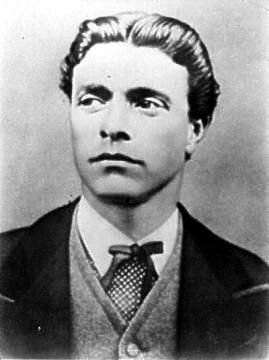 Vasil Levski (1837-1873) is the greatest son of Karlovo and Bulgaria, a revolutionary, an ideologist and organizer of the Bulgarian national revolution, the founder of the Internal Revolutionary Organization and the Central Bulgarian Revolutionary Committee. Throughout his lifetime he was loved and recognized by Bulgarians for his integrity, ideas and for turning his words into deeds. After his heroic sacrifice he became the symbolic banner for the generations to come. Along with his historical example, Levsky is the unflinching synonym for the Bulgarian political and moral ideal. Rayno Popovich (1783 - 1858) was born in Zheravna and studied in Sliven, in the famous Greek school on the island of Chios. In 1828, he opened the first secular Hellenic-Bulgarian school in Karlovo. Vasil Levski studied Orthodox chants with him. In V. Tantilovs words: Rainf Popovich is a whole epoch in the intellectual upsurge of the city. He pushed the enlightenment of Karlovo ahead of the century. Students of Rayno Popovich: G.S. Rakovski, G. Krastevich from Kotel, Ivan and G. Shopovi, G. Zolotavich, St. Uvaliev, D. Nestorov, N. Ivanov from Kalofer, K. Hamadzhiev from Sopot, D. Todorov from Tulcea, S. Filaretov from Zheravna, brothers Evstati, Hristo and Stefan Geshovi from Plovdiv, Botyo Petkov, Iv. Bogorov, Hr. Popvassilev, Br. Hadjigenov, D. Popov, M. Tantylov, At. Madjarov, Evl. and Hr. Georgievi, Iv. and Dim. Geshovi, brothers Pulevi from Karlovo and others. Aesop - Fables or Tales, translated by Rayno Popovich 1854 г. Brothers Evlogy and Hristo Georgiev (1819-1897), (1824-1872) are the greatest donors in Bulgarian history. They had solid education for their time, with good command of Greek. 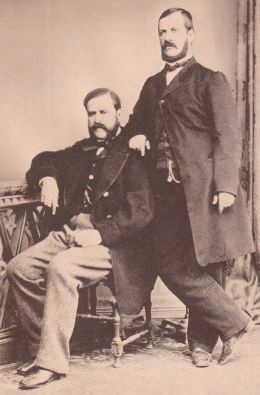 The joint-venture of Pulievs and Georgievs brothers, set up in 1839, organized large-scale trade exchanges in the Balkans, Russia, the Middle European countries and Western European companies. Entrepreneurs, traders and bankers, resourceful and loyal in their relations with other companies, the brothers established the biggest Bulgarian company of the Revival period. They were actively involved in the various options for the liberation of Bulgaria. As the most prominent representatives and leaders of the conservative Bulgarian National Liberation Movement represented by the Virtuous Company, they fully associated Bulgarias liberation with Russian foreign policy and the resulting variants for resolving the Eastern Question. The charitable activities of Georgiev Brothers were varied and on large scale. They provided material support to many Bulgarian municipalities, schools, churches, hospitals, authors of textbooks, they make donations for publication of books and newspapers. They fund the education of many young Bulgarians abroad, thus contributing to the training of many educated Bulgarians who returned to work in their homeland. Inspired by the ambition of Bulgaria to become a prosperous economic and cultural country, Evlogi Georgiev, responded to the needs of the whole Bulgarian society after the Liberation, especially to the occupied population in Macedonia and the Odrin region. The legacy of BGN 6 million for the construction of a Bulgarian university in Sofia, the building site and a significant sum for the current needs of the University is an ultimate act of patriotism and valour. To the Romanian people, who granted them security and hospitality for several decades, they bequeathed funds to the University of Carroll I in Bucharest, the hospital in Galatz and other institutions and individuals. He financed the construction of a Bulgarian hospital and a Bulgarian church in Constantinople. Evlogi Georgiev never forgot his native town. He financed the Karlovo Technical School, a wool-textile factory in 1891, and its the revenue was to support the schools and the hospital in Karlovo. At the first Plovdiv exhibition, in 1892 E. Georgiev built one of the most beautiful pavilions for Karlovo. Theofan Raynov (1837-1910) is a prominent national revolutionary, a public and political figure, son of the distinguished Karlovo enlightener Raino Popovich. He studied at his fathers school in Plovdiv and graduated from the school of commerce in Vienna. He is one of the active collaborators of Georgi S. Rakovski. Theofan Raynov is the only Bulgarian participant in Garibaldis Sicilian march. He is involved in the liberation movement and maintains connections with the SBCC, Vasil Levski, Lyuben Karavelov, Ivan Kasabov and representatives of the European revolutionary circles. After the Liberation, he is a long-time employee of the Bulgarian administration. After his retirement he actively participated in the public life of Karlovo. He was mayor of the town and chairman of the board of trustees of the Vassil Levski Society until 1902 and member of the committee for the construction of the monument of the Apostle in his hometown. Botyo Petkov / 1815-1869 / is a distinguished teacher, scholar and publicist, father of the immortal poet and revolutionary Hristo Botev and one of the first students of R. Popovich in Plovdiv. From 1841 until 1842 he studied in the Odessa Seminary. A highly educated, brilliant pedagogue, enterprising and honest, he became one of the most prominent teachers of the Revival. In the Kalofer elementary school, the teaching process was in line with the latest European requirements. He introduced the study of Russian language and taught modern Bulgarian grammar as per Bogorovs grammar. His considerable literary work is related to his teaching and educational activity and his participation in the struggle for church independence and recognition of the Bulgarian nation. With his ardent argumentative speeches and articles he defends the unity of the Bulgarian people from the assaults of the Greek Patriarchy and the Catholic Unity movement. 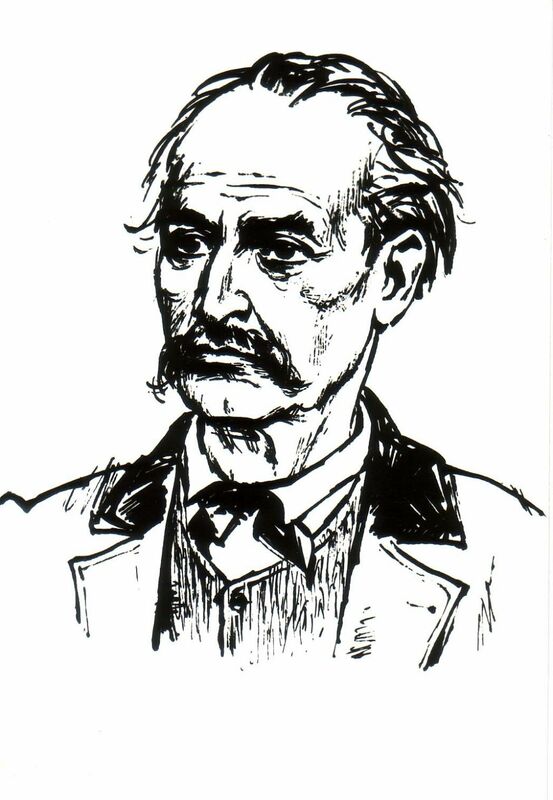 Doctor Ivan Bogorov, (1820-1892) is one of the most prominent Revival writers, encyclopaedist, philologist, founder of Bulgarian Eagle, the first Bulgarian newspaper (1846). He was a student of R. Popovic and continued his education at the Greek school in Constantinople and the Richelieu Lyceum in Odessa. He studied chemistry in Leipzig, graduated as medical doctor in Paris. His scholar activity is related to the creation and structure of the modern Bulgarian literary language. In his philological pursuits, an important place belonged to the idea of ​​language purity and he was sometimes extreme in pursuing the ultimate linguistic purity. Throughout his turbulent and restless life, he published 14 different newspapers and magazines, edited four other newspapers, authored, translated and published 34 books, brochures and dictionaries. He was the first to write and publish the first Bulgarian grammar of spoken modern Bulgarian language. He also collected and published Bulgarian folk songs and proverbs, published the first Bulgarian-French and French-Bulgarian dictionaries. He was the first publisher of a Bulgarian newspaper, published the first Bulgarian magazine on economic affairs and the first Bulgarian travelogue; he was also one of the first promoters of scientific knowledge among young Bulgarians. The remarkable creative work and patriotism set him among the greatest Bulgarian Revival names quite deservingly. Economos Hristo Popvassilev (1818-1877) is one of the most prominent Revival enlighteners in Karlovo. He was a student of Rayno Popovich and Neofit Rilski, one of the founders of the mutual school in his hometown. In 1846, he opened the first girls school in Karlovo, which was originally housed in his home. Hristo Popvassilev translated from Greek and published The History of Alexander the Great (1844), which is the first printed Alexandria in Bulgaria and one of the most read books in the Revival. He translated and authored many other books and textbooks. He died tragically on the eve of the Liberation: he was hanged in Plovdiv in 1877. Brayko Hadzhigenov (1814-1865) was a teacher, who studied under Rayno Popovich, one of the founders of the mutual school in Karlovo. He was a folklorist and organized the first public library in the Bulgaria during the Revival. From 1840 until 1846 he was a teacher in Kalofer, where he first introduced the method of mutual teaching, and in 1846 he opened the first Bulgarian mutual school in Plovdiv. He collected folk songs, riddles, proverbs, some of which were printed in the Lyuboslovie magazine. Vasil Karaivanov (1847-1933) was first cousin of Vasil Levski on his maternal side. He graduated from Karlovo Mutual Elementary School, where he studied with Hristo Botev for some time. He was the right hand of the Apostle in the area, the guardian of his password. He transformed the Karaivan Inn into a seat of the revolutionary committee. There, the Karlovo Revolutionary Committee was restored by G. Benkovski and P. Volov in 1876. 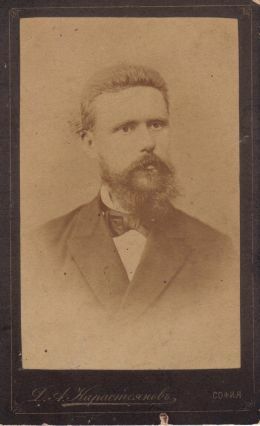 On 16 January 1878, he was elected First Chairman of the First City Council in Karlovo. Vasil Karaivanov was extremely modest and after the Liberation he did not seek any high office, he refused a honorary pension for his contribution to the Liberation. For the rest of his life he was a public figure and a benefactor. In 1904, together with Gucho Mitov, he built and donated to the Karlovo Municipality, the Primary School of SS Cyril and Methodius. As a direct participant in the events, he left very important memoires of the life and work of the Apostle and revolutionary operations in the Stryama Valley, which are remarkably reliable. Vasil Levskis home was restored as per his memoires. Ivan Grozev (1847 - 1916) was a great entrepreneur, public figure, politician, founder and first president of the Sofia Chamber of Commerce and Industry. In 1860/1863, with the support of Ivan D. Geshov, he studied at the school of commerce under Professor Welle in Vienna. He was among the members of the Second Bulgarian Legion 1867-1868. In Karlovo, he was among the educated and enthusiastic citizens who actively participated in the social and cultural life of the town; he was a member of the Learned Society and the Revolutionary Committee. Ivan Grozev was one of the most loyal and trusted associates of Vasil Levski in his hometown. In 1875, he opened a modern woollen yarn and fabric factory in the southern part of the town. 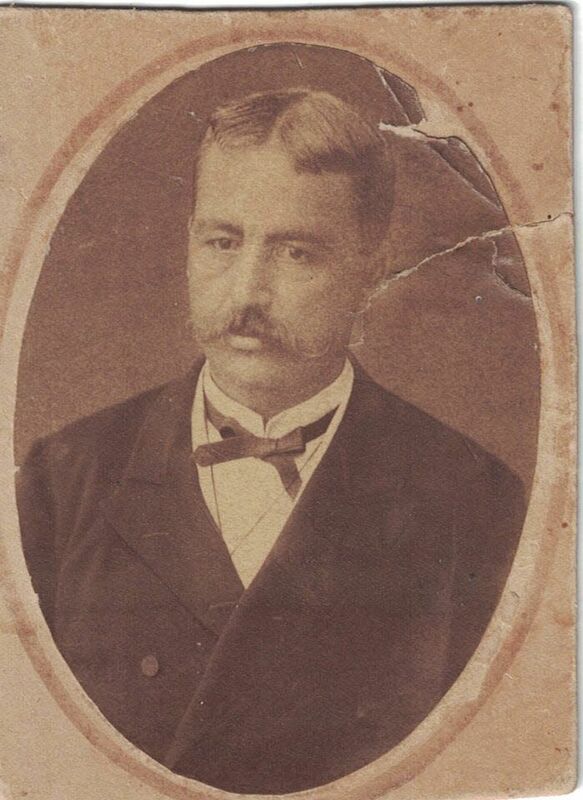 On April 9, 1878 he was elected secretary of the Second City Council in Karlovo. He moved to Sofia, where he was acknowledged a major entrepreneur of huge contribution to the industrialization of post-liberation Bulgaria and a prominent public figure. He implemented large-scale construction projects of harbours and railways, and was Mayor of the capital city for a short period and chairman of the commission for the construction of the monument of Vasil Levski in Sofia. Ivan Popov (1865-1966) was a prominent Bulgarian dramatic actor, director, historian of the Bulgarian theatre. His father was a merchant, an active public and a community member, who was beheaded in the summer of 1877. Ivan Popov participated as a volunteer in the Serbian-Bulgarian War of 1885. He joined the Plovdiv Amateur Theatre Company; he founded the Osnova Sofia Theatre and participated in the Salza i Smyah Theatre Company. After a specialization in Moscow and St. Petersburg he became an actor and director of the National Theatre from its founding in 1904 until 1924. From 1939 until 1960 he published five volumes of his extensive study of the history of the Bulgarian theatre titled The Past of the Bulgarian Theatre. Ivan Popov was a long-time chairman of the Society of the People of Karlovo living in Sofia. He was member of the Vasil Levski National Committee in Sofia, founded in 1923 and participated in the establishment of the committee for restoration of the home of the Apostle. Through his active creative carrier, he played over 300 memorable roles in the theatre, and with his niece Elena Snezhina participated in the filming of the first Bulgarian films: The Devil in Sofia, Under the Old Sky. Professor Ivan Lazarov (1889-1952) graduated from the National School of Fine Arts and Industry in Sofia under Professor Zheko Spiridonov. He specialized in the Academy of Fine Arts in Munich at the Academy of Arts in Dresden. Until his death he was a sculpture professor at the Sofia Academy of Fine Arts and was the director, founder and first director of the Institute of Fine Arts. In his work he established himself as a recognized master of the composition and stone-carved sculptural portrait, and experienced sculptor of the decorative-monumental sculpture. A significant part of his work is related to the wars for national unification: Attack (1912), Expecting Women (1913), They Won (1913), The Fallen Comrade (1913), Mother (1934 - the tomb of the mother of D. Debelianov). Other works are dedicated to Bulgarian history and national revival: Petar Beron (bronze bust in Boris garden), Pop Bogomil (1937), St. Sedmochislenitsi (1940), St. Ivan Rilski (1942) and others. Vassil Kirkov (1870-1931) was a dramatic artist, one of the founders of Bulgarian professional theatre. He studied dramatic art in Otto Schule in Vienna. In 1888, he was among the founders of the Osnova Theatre and worked in the Sofia Drama Opera House, in Salza i Smyah Theatre and was the most popular actor in the National Theatre until 1926. Elena Snezhina (1881-1944) was a dramatic actress in the Free Theatre in Sofia, and from 1906 to her death in the National Theatre where she played over 300 unforgettable roles. E. Snezhina performed in the first Bulgarian films The Devil in Sofia (1921), Graves of No Crosses (1931), Heap (1936). Anna Kuzmanova (1875-1958) was a public figure, a teacher and benefactor. She was born in the family of the Karlovo textile merchant Kuzman Arapliev, who was hanged in 1877. She graduated from the Pedagogical Department of the Sofia School for Girls. Anna was a long-standing member, secretary and chairman of the Education Womens Society and dedicated her life to the educational and cultural rise of Karlovo and the preservation of the towns historical monuments and traditions. She is among the closest aides to the local folklorist Hristo Fargov, and collaborated with historian Dimitar Strashimirov by collecting data on Karlovo history. In 1958, Anna Kuzmanova bequeathed the White Yard (the house and the garden), one of the most beautiful spots in Karlovo, to the Republic of Bulgaria, the Ministry of Education and Culture and its Department of Museums, provided the first floor was to house the citys cultural and historical archive, in which the handwritten works, photographs, books, textbooks, and tools collected by her were to be arranged. Anna Lambreva (1895-1976) was the first Bulgarian traveller around the world. She was born in a family of numerous siblings; studied in Plovdiv and medicine in Sofia. In 1922, she went to Constantinople and studied at the American School of Nursing. From 1927 to 1930, she resided in New Zealand at the invitation of a grateful patient. This is the beginning of her world tour. During her stay in New Zealand, she introduced to the world the unknown Bulgaria. The lonely traveller later left for Iran. After her brief return to Bulgaria in 1938, she went to Italy. In 1941, she travelled to Baghdad. In Iraq, she married the Minister of Finance, but this marriage was short. Her husband was sent into exile in South Africa, and Lambreva in a concentration camp in Lebanon. Here she married the Iranian Reyjan Ahmad din Abesti, who was interned in the same camp. The family was released in 1944, and went on to live in Iran where she was engaged in charities. After 1957, she visited Vienna, the United States, Great Britain. After the death of her husband, she finally returned to Karlovo after visiting 41 countries. She is the author of the memoir book Karlovo and Its Citizens After the Liberation, a biographical novel Anna, My Travels Around the World. The Queen of the Southern Seas and others. Hristo Fargov (1895 - 1978) was a historian from Karlovo, a traveller and a public figure. He was born in the family of Revival teacher Georgi M. Fargov, first cousin of Vasil Levski. Гe studied at the fifth-grade boys school in Karlovo and at the Plovdiv high school for boys. From 1918 to 1921 he studied law at Sofia University, graduated in Esperanto and German. He fought in the First World War. He participated actively in the public life and dedicated his time to a variety of folklore studies. He is the author of the Karlovo: Past, Present and Future. Karlovo Declarations brochure - the first attempt to systemize the history of Karlovo. He also authored Karlovo: A Dictionary of History and Geography, In Service of Family and Homeland: Impressions and Adventures of a Soldier, Schoolmaster, Officer Candidate and Officer, and others. Every a researcher of the history and cultural and historical heritage of Karlovo uses Fargovs folklore studies to this day. He actively assisted Dimitar Strashimirov, Ivan Unjiev in their studies of Karlovo and Stryama Valley. He also collaborated with architect Dimitar Popov, A. Vassilev and others. He was a long-time collaborator of the Ethnographic Museum in Sofia and the Archaeological Museum in Plovdiv, organizer of a museum at the Karlovo Community Centre. He was elected secretary of the Vasil Levski Chitalishte and the committee for the restoration of the home of the Apostle designed by him according to the instructions of Vasil Karaivanov. Great are the merits of Fergov for the preservation of the Zoevs and Daskal Botevs House. For his long-standing cultural activity, he was awarded the title of Honorary Culture Contributor. He was a great supporter to the development of the tourist business in Karlovo and the restoration of the Vasil Levski Hut. During his life he donated many books to the library of the Karlovo community centre, and in 1979 his sister, Vera Fargova, handed over his valuable and rich archive to the Historical Museum. Rayna Kassabova (1897 - 1969) - The first woman in the world who flew on a battle plane over the 2nd Bulgarian army in the besieged Edirne during the Balkan War in 1912. During the war, Kassabova was a 15 year old volunteer-Samaritan in the field hospital near Svilengrad. Together with Lieutenant St. Kalinov, she carried out the reconnaissance flight with a military task to throw flysheets over the city. The event was covered by the world media. Later she received a well-deserved recognition - a soldiers military cross, and later the medal For Merit to BNA. Petar Yurukov (1882-1905) was a member of the IMRO, Tikveshki and Krushevski voivoda. In 1900, he was admitted to the revolutionary organization and was sent as secretary of the Doyran detachment of the Hadzhiyata and Gotse Maznev. At the end of 1900, he was appointed temporary head of the Chernopeevs detachment, which later divided into two smaller divisions. He participates in the special group that kidnaps the American missionary, Miss Ellen Stone. As the Chief of Staff of Tikveshko, he took part in the Ilinden-Preobrazhenie Uprising in 1903. In 1905, he was the chief of a detachment in Tikveshko, later joining the Prilep detachment of Hristo Germanov. He was severely injured in a fight, got the typhus and died. He was buried secretly in the city park, and in 1942-1943 his bones were re-buried by the Bulgarian authorities in the St. Nikolay Church in Prilep. Lieutenant-General Petar Tantylov (1830-1877), named father of Bulgarian artillery, is the son of the renowned Karlovo Revival teacher and public figure Matthew Tantylov, hanged in Plovdiv in August 1877. He fought in the Serbian-Bulgarian War 1885 as battery commander, and was later appointed Commandant of Sofia and Commander of Artillery. During the Balkan War, he was the chief of the artillery in the 3rd Bulgarian Army, during the First World War he was Head of the Sofia Division, the head of the Nish Fortified Region and Head of the Logistics Office. He was the Bulgarian representative at the military administration in Romania and the Macedonian Military District (1918), a member of the Bulgarian delegation of the Brest-Lithuanian negotiations with Soviet Russia. He donated 884 books to the Karlovo Library, which today form the so-called Tantylov Library. In 1930, together with his brothers, they set up a fund in the name of their father, to support a student from Karlovo High School, the community centre and the Church Board of Trustees in his hometown. Hristo Prodanov (1943-1984) was a great Bulgarian mountaineer, the first Bulgarian to conquer Mount Everest in 1984 without an oxygen apparatus. He was awarded the title Hero of the Peoples Republic of Bulgaria posthumously.